2007: Constitution Day celebration in our garden with family and friends. 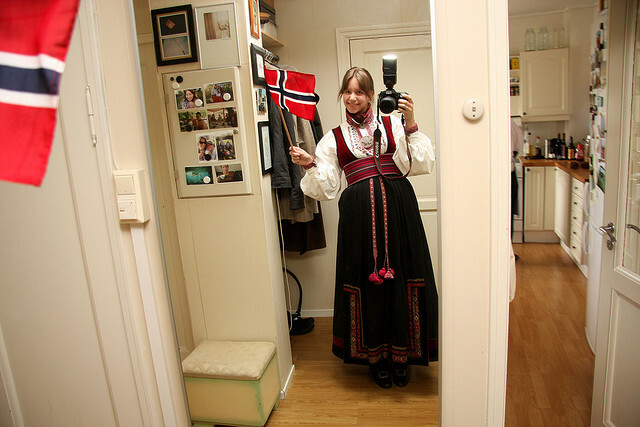 This is my sister-in-law wearing her bunad from Rogaland. 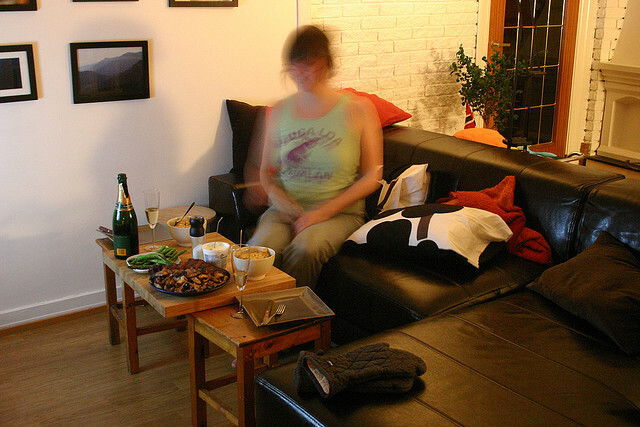 2008: Constitution Day celebration with friends at home. 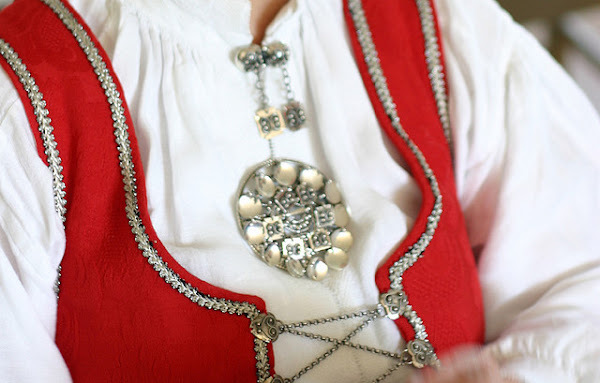 This is me wearing my bunad. It's a beltestakk from Bø in Telemark (my mother's family is from Telemark). 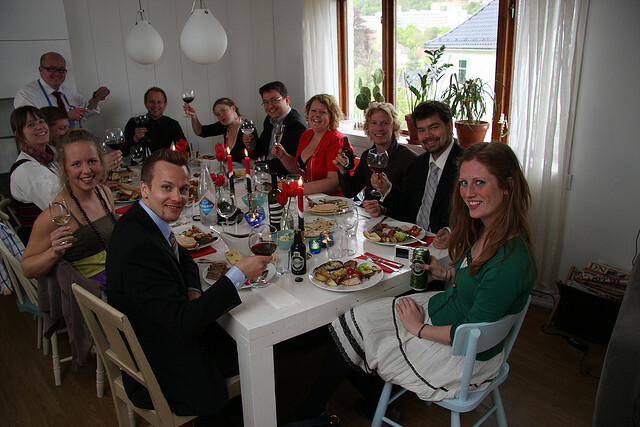 2009: Constitution Day dinner with friends at home. 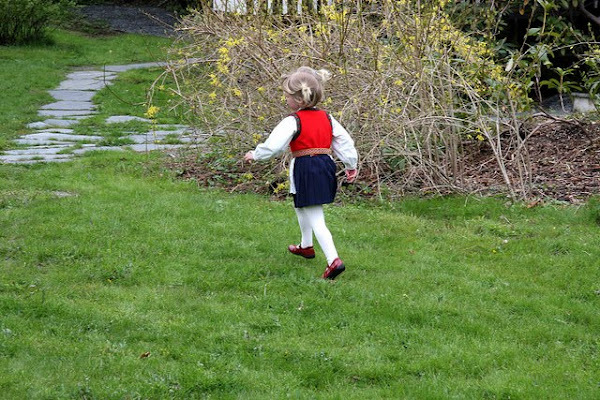 2010: Constitution Day celebration in Sølve's brother's garden. 2011: Constitution Day celebration with friends at home. Great! Already loved Sandra's, but I am also in love with yours! It is great to see the same holiday celebrated in 6 different years!